Quotes can at times be an effective medium through wish one can show one's mindful thoughts and feelings. 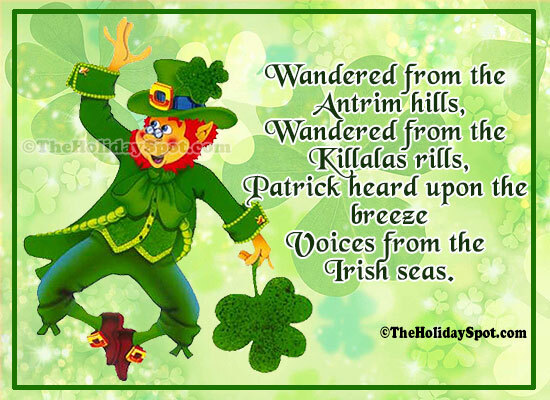 Get in the true spirit of being a true Irish and go through these reflective thoughts which will enhance the spirit of being a true Irish further. 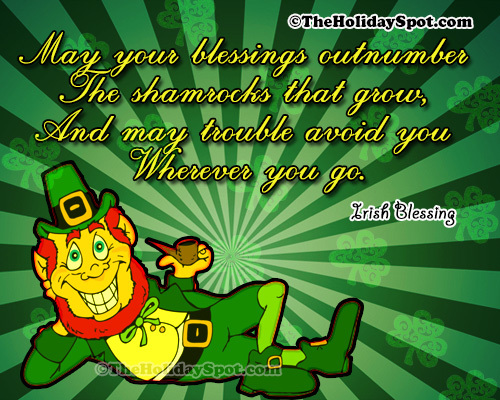 So keep on reading these St. Patrick's Day related quotes and feel free to forward these wonderful funny Irish quotes to your friends. 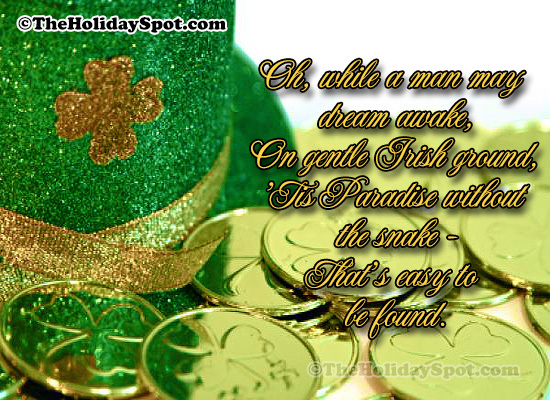 It would also be a good idea to incorporate the Irish quotes and send it with a St. Patrick's Day greeting card. O Paddy dear, and did you hear the news that going round? For there's a bloody law against the wearing of the green. 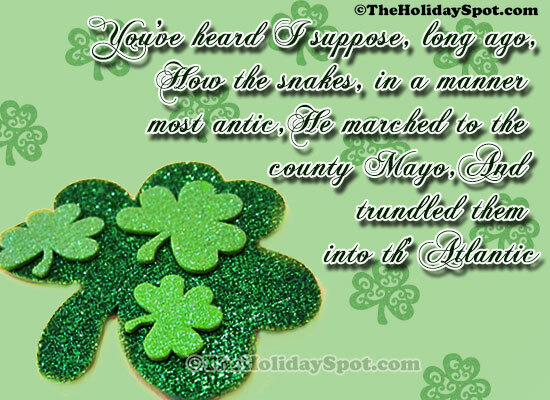 And he called it the dear little Shamrock of Ireland. 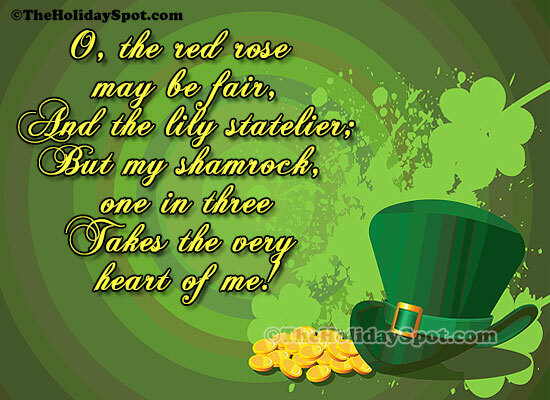 But 'till that day, please God, I'll stick to wearing of the green.